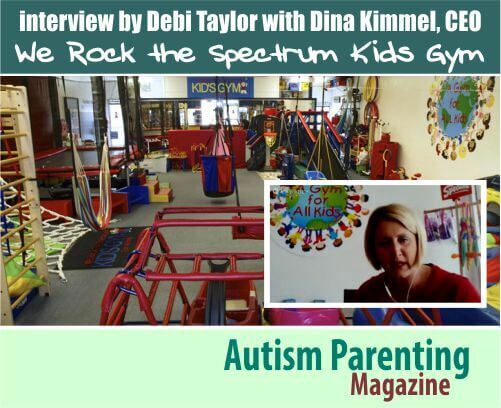 Autism Parenting Magazine is thrilled to provide readers with highlights from a recent interview by Debi Taylor with Dina Kimmel, CEO and founder of We Rock the Spectrum Kid’s Gym. This extraordinary gym provides a safe, nurturing, and exciting environment to foster learning, exploration and safe sensory experiences. Through the nonprofit known as My Brother Rocks the Spectrum Foundation, they have been able to provide social skills groups and activities for children across the spectrum. 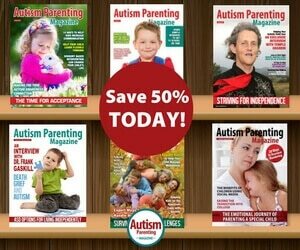 The gym and its founder have been featured on Autism Live, CBS LA, The Rise, and Tribe Magazine. Here are some highlights from the recent interview and we enter the conversation as Dina explains the importance of inclusion. 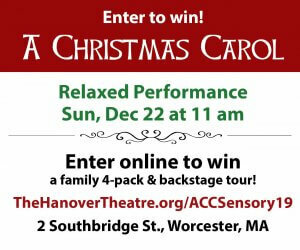 It is Dina’s goal to create at environment where all children on the spectrum have an opportunity to play with neurotypical children. Debi: Your idea of inclusion is just fantastic because although there’s so many supports popping up now for children and young adults on the spectrum I think that we’re coming into a situation now where while well-intentioned the labels are starting to, you know, divide the community and that’s not what, you know, we should be moving toward. Inclusion is just a fantastic thing, so I absolutely commend what you’ve done. I’d like to know also, what goes on in We Rock the Spectrum? 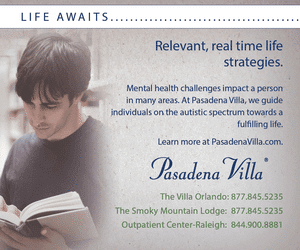 How does it help children and families with autism? Debi: That is very exciting and, you know, when you’re following your passion like that it’s amazing how things just line up for you very rapidly. I did have a question for you are there age or perhaps child size regulations? I hate to use the word ‘limits’ because we don’t like that word here. But is there a sort of age cut-off for children to come to your gym? Dina: That’s a great idea. So actually if you look on our website it says infant on up. So all of our swings and our apparatuses that are built there are over 5,000 pounds and the swings hold up to 300 pounds because we want to encourage people that all the pieces of equipment in We Rock the Spectrum are sensory based. If you could go into any occupational therapy gym – that’s what you find. So our idea is getting the child and the parent together on this equipment and teaching them how to use it so that it’s not just any “therapy environment” because my daughter who is neurotypical and your child, anybody else’s child, they don’t know the difference of a sensory-based piece of equipment or swing versus a typical swing on a play-yard. They just think it’s fun. So really infant, newborns, you know they’re being held. I look back now, I knew my son at three months old had autism. He just needed to be held tight all the time. If I had a place like We Rock to go, I would have sat down on our bolster swing which a lot of autism parents out there will know what that is – it looks like a pony – and just rock my child. What’s great about being an infant on up is that if you have a child on the spectrum, so say I had my three-year-old and I had a newborn baby. Well, you have a baby carrier then you can get on the swing with your child on the spectrum, hold his hands, and just have fun with him. Have fun with them on equipment that’s gonna make them socialize better, keep them around typical kids and keep their bodies regulated. I mean parents are blown away! I mean we have these ten basic pieces of equipment and after three hours, the kid’s don’t wanna go home. It’s amazing! But every piece of equipment in We Rock works on a part of the body. The trampoline – one of the main pieces equipment in our gym – and all of them, works on the vestibular part of the body keeping the balance, the core. It’s fun you know, I mean typical kids and kids on the spectrum they just think it’s fun – they don’t know that they’re getting therapy. They don’t know that we’ve got something behind this – we want them to sleep better, to do homework, to relax their bodies. So, you know, really the age? If it’s a child on the spectrum, it’s any age. To young adults on up. Debi: That is great to hear. I ask because my son is 12, he just turned 12, and he is taller than me and he has a mustache and he wears men’s medium or men’s large clothing depending on the cut – I mean he is just a big boy and there are so many things that he needs to do for his body that, aside from just going to the neighborhood pool – which can be hit or miss depending on how many people are there and all the sensory things going on – you know, they’re really aren’t many places I can take him and now he’s pretty much perceived as a teenager. So we’ve just sort of outgrown places like that so it is just wonderful to hear the welcoming community that you have with your gyms. Dina: Thank you! You know what’s great, too, is that they’re all different. So, yes we’re a franchise and we have those ten essential pieces of equipment but there are some larger than the others. 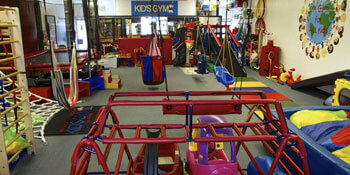 For example the Glendale gym has a 35-foot tall ceiling and they cater more towards teenagers to tweens and teenagers. So that’s what’s amazing, so there’s a We Rock that caters to all children absolutely. Debi: When they open a gym they respond to the needs of the community? You said that one catered just to teens? Dina: That’s exactly right, that’s exactly right. 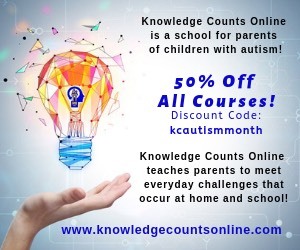 In the Glendale and Pasadena area, it’s a very saturated area with amazing resources for autism, therefore there’s a lot of children there on the spectrum. The Glendale gym, you know, that’s their focus. One, the owner has a child on the spectrum and he’s a teenager, so that was kind of their vision, and it’s great because for example they have two treadmills side by side – they have one for the little guys and then they have one for – a grown up treadmill. So your son can go in there and get his little groove on and be right next to a five year old. It’s amazing – no other place, facility, gym, whatever you wanna call it, will you see children from 2 to 18 all playing together. It’s amazing. Debi: Wow. So you mentioned you’re a franchise, there are other locations? How many do you have? Dina: Well, right now we have 13, and I’m actually getting ready to fly to Miami and we are closing Miami and North Carolina this weekend, so we’re very excited. So that would be 15. Debi: You also mentioned the My Brother Rocks the Spectrum Foundation. Can you tell me what that’s about? Dina: Well, My Brother Rocks the Spectrum Foundation is my newest baby. 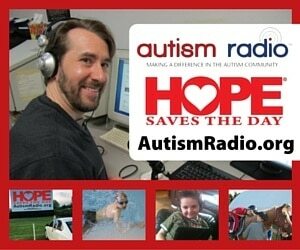 That is our non-profit and if you look at the little redhead on there, that’s my daughter. And it was first started to really, um… they don’t make it too easy to open up a business, you know, really in any state. I know that we’ve had, you know, many struggles here in California and actually the Mayor, the Mayor of LA and the councilmen in Studio City by our Studio City location, we had to come up with an idea to keep our gym safe there from a neighboring business who was not happy with a kid’s facility helping all children – unbelievable all around. So they said, “You know you what – you need to put your lease into a non-profit, Dina.” So what did I do? I opened up a nonprofit and there came My Brother Rocks the Spectrum. Now, little did I know that there I’d be driving – this is entrepreneur side of me – okay how can I help the world in the community more? And I was driving, and I said, “Wait a minute.” I called my franchise attorney, I said, “Can we use this nonprofit to help fund children in need? Children who can’t afford the $10 to come in for open play, or forty-nine dollars for social skills group or the camp?” He said, “Absolutely!” So our non-profit is the umbrella for all of the We Rock the Spectrums nationwide and we raise funds for the one-to-one attendant care, which a lot of children can’t attend our camps without one-to-one support. It’s expensive, as you know. It’s a minimum ten dollars an hour for just the one-to-one plus camp, you’re talking a hundred dollars a day. Well, do this summer and you’re looking at what, an $8,000 summer, which you know it’s just not feasible. Not feasible for the majority of the world. So we’re very excited. It’s a brand new nonprofit, three months old. So if you go to the website, My Brother Rocks the Spectrum, my daughter, the little broadcaster herself, is doing a little fundraiser at McDonald’s. She is telling the world, “Hey, come raise money for these children in need!” and it’s amazing, it’s wonderful. So our non-profit component feeds into all of the gyms. It’s amazing, it’s a win-win situation. Debi: It sure is, and boy do I understand about the neurotypical siblings because my daughter’s sixteen. And especially because I have an autism website and an autism business, she frequently feels like, you know, my life is all about her brother, and so I try to include her in many, many ways and it’s challenging especially at sixteen, when she’s really finding her voice. Any way to get her involved without overshadowing her is a balance, a delicate balance. Dina: Absolutely. It’s hard with me, that’s definitely the hardest thing. The hardest thing is between her and hearing the words from her as well: “I wish I had autism.” Oh, I said oh my gosh! And now we’re starting sibling support groups. We have a doctor who’s our new owner of We Rock the Spectrum at Northridge. She wrote our We Rock Social, our social skills group. So this is now the biggest and amazing part and component in every Rock the Spectrum and now all of our We Rocks have their own social skills groups run by her and her team – it’s amazing. It is! And then there’s the sibling groups where you can bring in the brother or the sister with the child on the spectrum and they can all feel like they’re in one class together, because essentially that’s what We Rock is. Debi: That’s great, you’re just helping the community with every angle possible, I love it. Dina: We’re trying. We’re trying – one day at a time. Debi: You also mention that it is a franchise, so what if somebody’s interested in opening a We Rock the Spectrum in their area? How would they find out more information? Dina: Well we just recently put up a couple months ago, our franchise website, and it’s informative and makes it easy and you need to follow the steps. It’s www.wrtsfranchise.com and you go on there and it gives you a little interview of what We Rock is all about. Tells you about the 10 pieces of equipment that are essential for every We Rock the Spectrum and then you fill out a little inquiry form and an MBA and you get to me.